An installation with two Jungle Adventurers connected to the Mountain clubhouse with two bridges; plus two bottom clubhouses, gangplank, 3m wave slide, enclosed spiral slide, cargo net, rock wall, firepole, tyre swing, one-position beam with trapeze bar and completed by wood roof upgrades (although the lower deck on the Mountain has been left open). Set along the back of a garden, a slightly smaller Cosmic Adventurer with super slide, gangplank, firepole, bottom clubhouse, cargo net, ladder, rock wall and ladder beam plus one-position swing beam. There are two flat seats and a trapeze bar combo on the swing beams and a telescope on the top deck. Also with the wood roof upgrades, this equipment has the single Jungle Adventurer and bridge connection, two bottom clubhouses, gangplank, wave slide, enclosed spiral slide, bubble panel, rock wall, 2x two-position swing beams with a bench swing and two sling swings plus two steering wheels and two telescopes. A Mountain clubhouse and a Jungle linked by a bridge plus cargo net, rock wall, gangplank, firepole, bottom clubhouse and three slides – super slide, enclosed spiral and standard wave slide. On the ladder beam there is a duo glider and a sling swing. A telescope and steering wheel complete the accessories. These two Jungle Adventurers use bridges to connect to the main Mountain clubhouse; then they feature a rock wall, cargo net, two bottom clubhouses, in-club picnic table, gangplank, ladder, firepole, wave slide, enclosed spiral slide and wood roof upgrade. Set as an “L” shape the two Jungle Adventurers are joined to the Mountain with a bridge and a monkey bar connector; there is also a gangplank, cargo net, firepole, bottom clubhouse, wave slide, enclosed spiral slide, two-position swing beam with sling swing and toddler swing plus a one-position beam with trapeze combo. It is all finished off with a steering wheel and telescope, plus the wood roof upgrade. The biggest and the most exciting of all our jungle gym ranges, the Cosmic Adventurer can be almost anything you want it to be. Based on a combination of our Mountain Adventurer and Jungle Adventurer gyms, the Cosmic Adventurer gives you enormous scope to choose exactly the configuration and accessory choice you want. Start with one of each of these and then add from your choice of accessories. Want some advice or assistance ? We are always able to help you choose how best to equip and lay out your climbing frame. 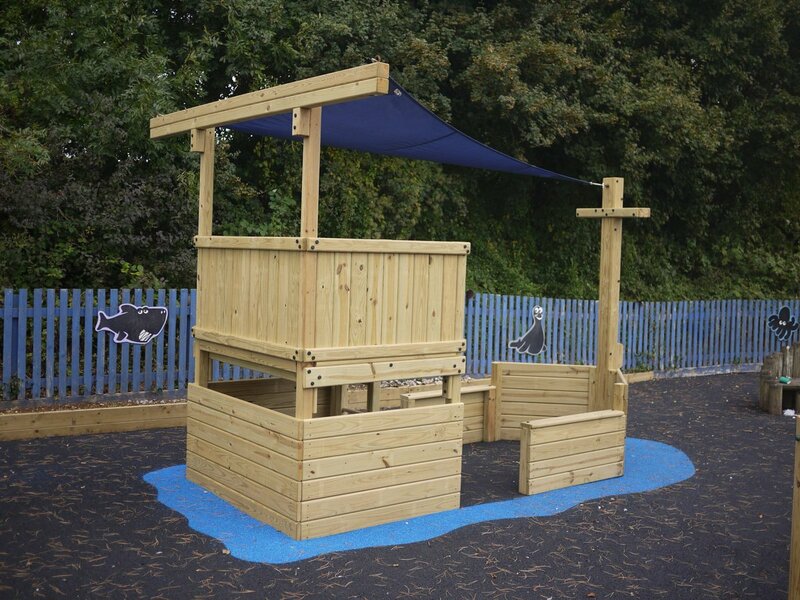 We have 20 years experience in building and desiging back garden play equipment so contact us via the contact form – or call us on 0845 643 2373.